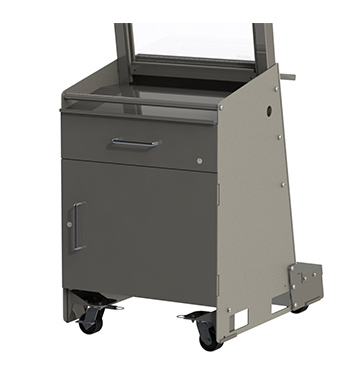 Standard Desk Unit w/Locking Drawer & Cabinet Combo | Defenshield, Inc.
MDFP and SafePoint shelves are available to establish a working surface to write on or to use the unit as a podium. Shelving units are available with or without drawers and can be built of wood or metal. Custom shelving units are available upon customer request.